The weekend is almost over but here are some sales just in case you’re doing a little shopping. Get 40% off at Ann Taylor with code: FRIENDS40 (love this and this). Loft is having 30% off tops and sweaters – no code needed (need THIS in my life). Get 30% off at J.Crew on full price items plus free shipping for rewards members. I really want this leopard bag but unfortunately it’s excluded from the sale (grrr). J.Crew Factory is having up to 50% off fall faves (love this and have this). I just scored this and this at Nordstrom Rack – love this place! 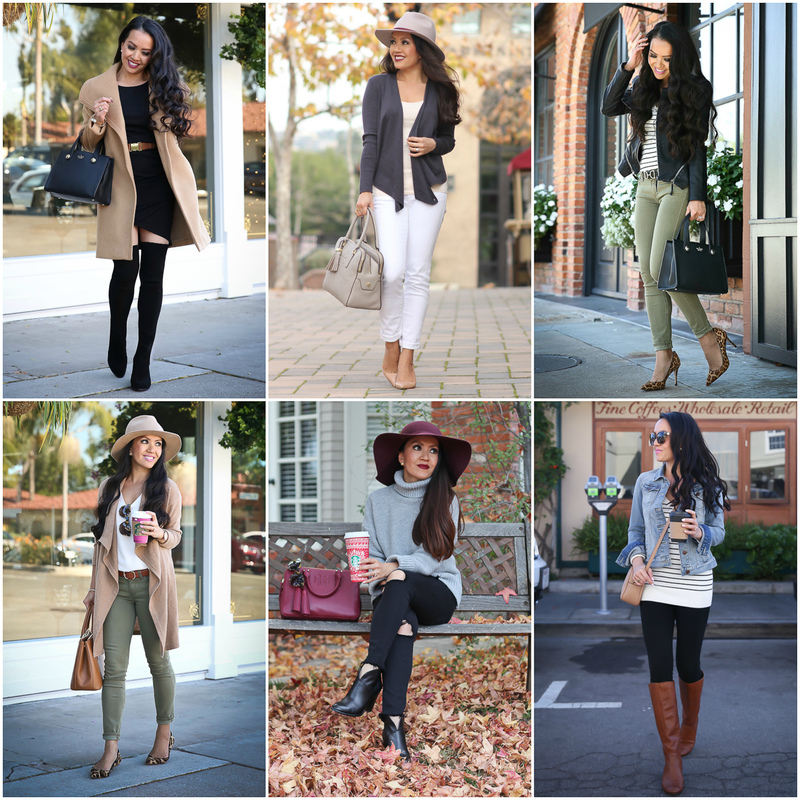 I’m also rounding up some of my favorite fall outfits from last year. I’m seriously SO ready for cooler weather! See full post and more photos HERE. Thanks so much for this post Annie. I was so happy to see that Nordstrom Rack had restocked the Abound sweater. I bought it a while ago after seeing it in one of your posts and have worn it so much that I always regretted not buying a back up(especially at such a great price). Also happy to see Talbot’s is carrying a version of the reversible belt. Wish they carried it in black but have just ordered the cognac because it is also a great neutral.